Net lights from the Christmas Warehouse are a quick and efficient way to decorate those difficult areas in your lawn for the holiday season. 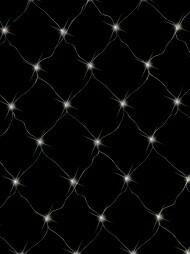 The net is made up of a network of fairy lights. 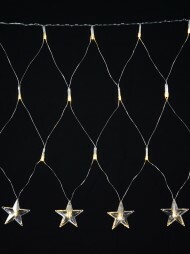 Simply place the net over the area you are trying to decorate, plug the lights in and watch them shimmer and shine. The process is simple and quick, and the results look even better than if you had tried to hand decorate everything yourself. In many neighbourhoods, beautiful light displays are an important aspect of the holiday season. Passers-by and neighbours are sure to appreciate the twinkling lights of your shrubs, and none will be the wiser as to its ease of assembly. 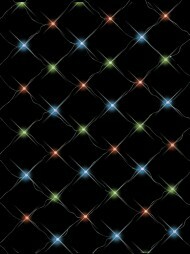 The net lights are equipped with multi-function control boxes in order to choose the lighting style. Try out a few and watch as your friends and neighbours are mesmerized by the changing and beautiful lights. If you have small trees, hedges or bushes to cover in lights this holiday season, invest in a lighting net or two. You will not be disappointed in the durability of these lights. Your lawn is sure to look great, and you will save time in the process. Let the time-saving gems at the Christmas Warehouse work for you this Christmas season.